Posted on March 18, 2017 Posted in Cakes	. Tea is a common flavor enhancer I use in my baking, Jasmine, Early Grey, Melbourne Breakfast and Green have been featured in my past recipes to name a few. 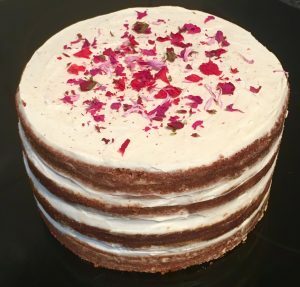 However, chamomile has only been in 1 of my recipes and not as a feature ingredient (check out my amazing Hazelnut Cake with Spiced Syrup recipe) so when I came up with the idea of doing a floral cake this was the perfect opportunity to use the lovely flower as they hero ingredient. By combining rose, orange blossom, chamomile and lavender I created a beautifully fragrance-kissed cake that by no means taste like soap! The inclusion of spices compliments the chamomile and offsets the floral sweetness. Place the honey and zest into a saucepan and stir on a high heat until boiling. Add the tea bags to the honey mix and stir. 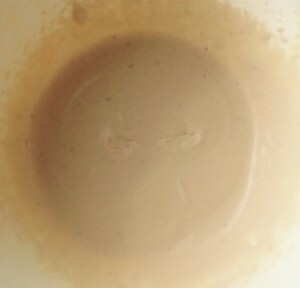 Leave the mix aside for 30 minutes, stirring each few minutes. Remove the tea bags. 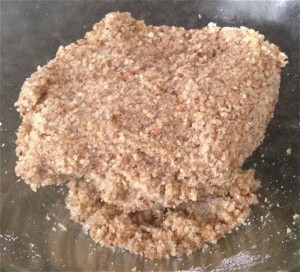 Sift the flour, spices and sugar into a bowl and stir to combine. Add the oil to the honey mix and stir. Pour the honey mix into the flour mix and using a hand whisk beat until well combined. 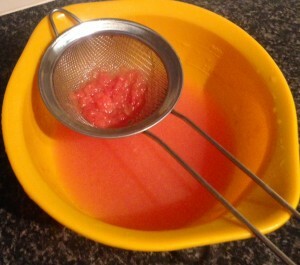 Add the eggs, essence and blossom water and beat with the hand whisk until well combined. 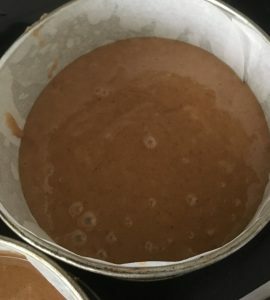 Pour the mix evenly between both cake tins and bake for 40 minutes or until a skewer inserted in the center comes out clean. 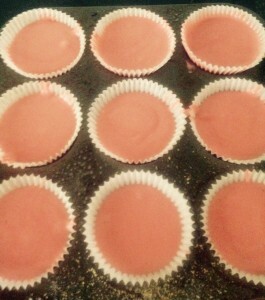 Invert the cakes onto a cooling rack until cooled. 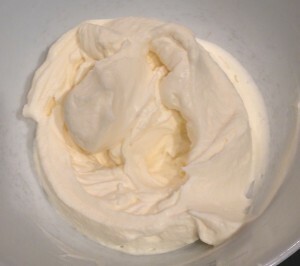 Place the icing ingredients into a bowl and using electric beaters whisk for 5 minutes or until fluffy and light. Cut the cooled cakes in half. 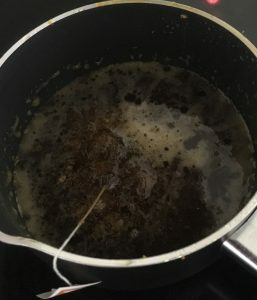 Meanwhile to make the syrup place the butter, water and sugar into a pan and heat on high stirring continuously until the mix is bubbling and slightly thickens. Take the syrup off the heat and allow to cool slightly. Using a pastry brush brush the top of 3 cakes on cut side with the syrup leaving the best non cut side layer aside. Dirty ice the cake by going around the sides and removing any extra icing. Top with edible rose pedals and chamomile flowers. Tags: chamomile, Chamomile Floral Cake, Chamomile Floral Spice Cake, honey, lemon, orange, orange blossom, rosewater, spices	. Posted on February 11, 2017 Posted in Cupcakes	. Watermelon would have to be one of my favorite fruits, just ahead of cherries and strawberries. To compliment the watermelon flavour I opted for a pairing with strawberries and to top off the floral delicate flavours the addition of rosewater. 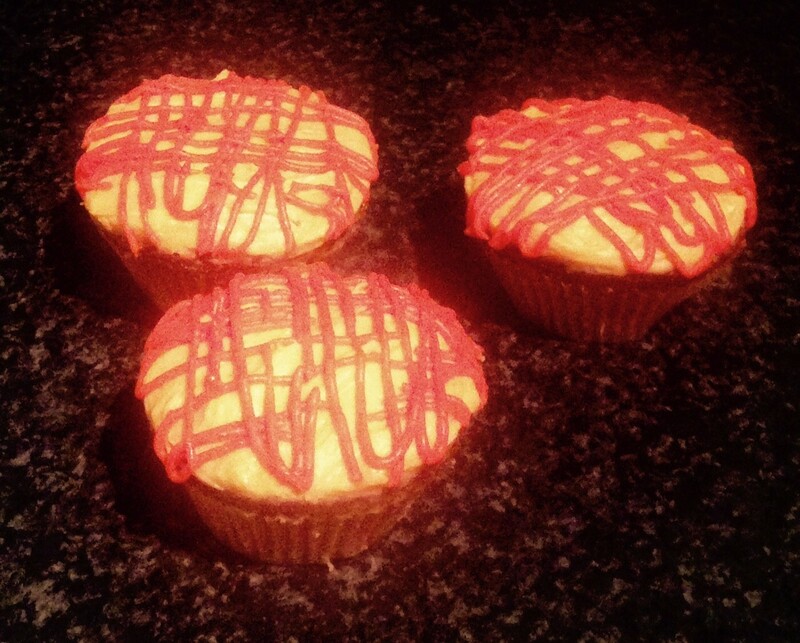 As I have made a cake with watermelon previously (see my Couscous Strawberry and Watermelon Cake) I decided to make cupcakes this time with my never fail amazing cupcake recipe as a base. 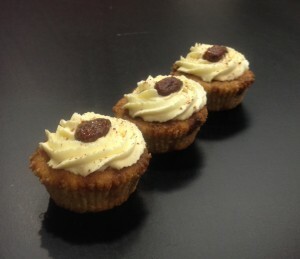 Outcome, a rich, moist, melt in your mouth cupcake that is packed with flavour in every bite! 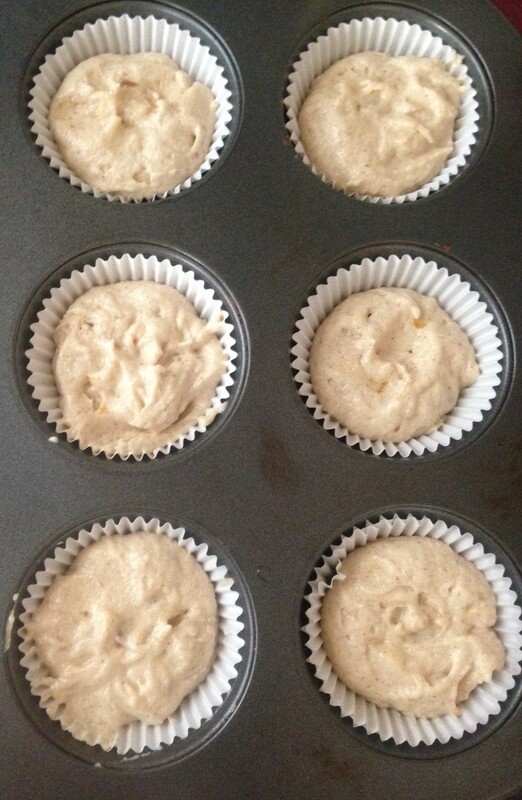 Pre-heat the oven to 175c degrees and line a 16-space cupcake tin with patty cases. Spray the cases slightly with oil spray. Cut watermelon and place 1.2kg of flesh into a food processor. Blitz until liquefied. 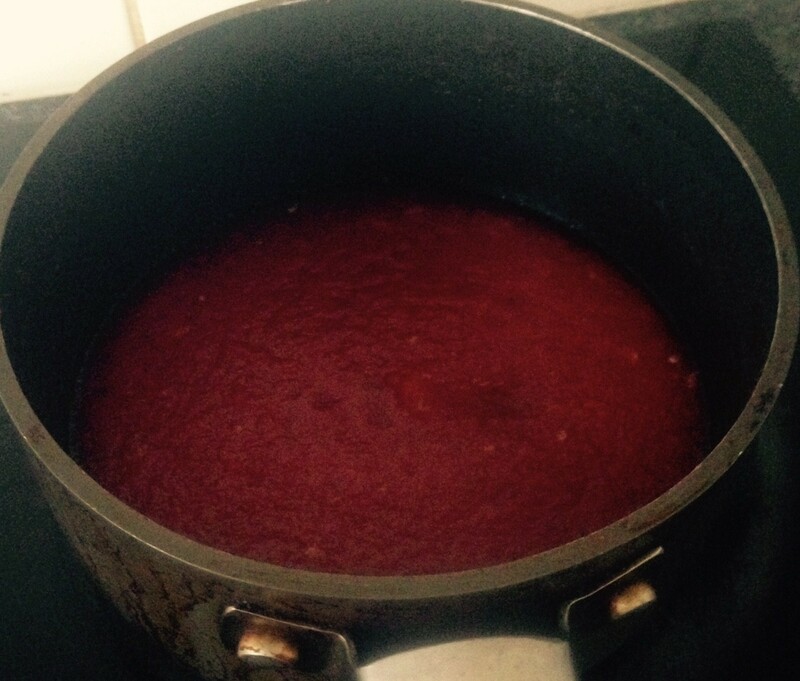 Pour the mix into a large saucepan and simmer on medium until the liquid reduces down to 200ml. Pass the reduction through a sieve to catch the seeds and unwanted flesh, set aside. 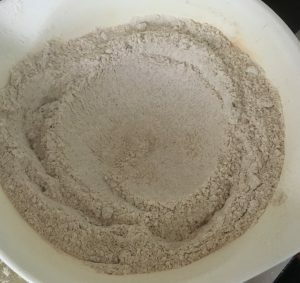 In a small bowl sieve the flour, powder, soda and salt. Repeat 2 more times. In another bowl beat the eggs until light and fluffy with electric beaters for 2 minutes. Slowly add the sugar while beating. Add the essence and beat to combine. Add the butter slightly melted as well as the jam and beat. Place 120ml of the watermelon reduction and the buttermilk in a bowl and stir to combine. 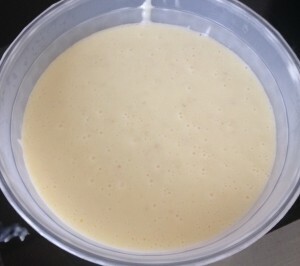 Add half the reduction buttermilk mix to the batter and beat until combine. Add half the flour mix and beat. Repeat with remaining buttermilk mix and flour mix until well combine. Pour the batter into the patty cases to ¾ full and place in the oven for 15 minutes of until a skewer inserted into the middle comes out clean. 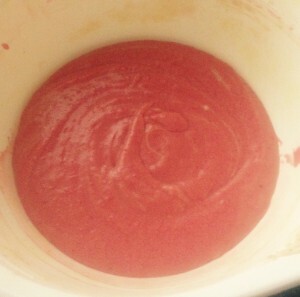 Meanwhile make the icing by placing 50g of the remaining watermelon reduction, butter, strawberry essence and icing in a bowl and beat with electric beaters until light and fluffy. 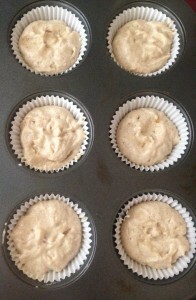 Once the cupcakes have cooked leave on a cooling rack. When the cupcakes are at room temperature place the icing in a piping bag with a star nozzle, pipe and enjoy. Tags: cupcakes, rosewater, strawberries, watermelon, Watermelon Rose and Strawberry Cupcakes	. Posted on March 21, 2016 Posted in Lebanese, Traditional	. My father is a big Bread and Butter Pudding fan. As his birthday was coming up I wanted to find some special and different pudding recipes to make for him. 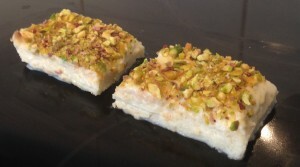 After doing a bit of research and some baking of other countries versions of this dessert I came across Aish El Saraya. ”Aish el Saraya” is a famous Lebanese dessert that is traditionally cooked for Ramadan, holydays and fete days (etc ‘Eid ul-Fitr). This puddings title means ”the bread of royal palace” hence the baking taking place for special occassions. The dessert is and light, eggless, bread & custard based rose pistachio treat. 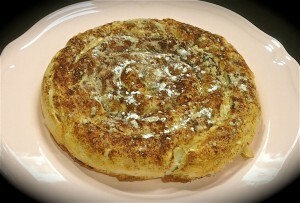 Think bread and butter pudding texture with a Turkish delight flavour. 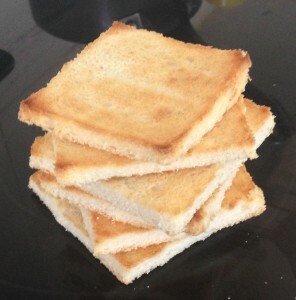 Toast the bread and cut off the crusts. Line a 20cm x 25cm slice tin with baking paper. 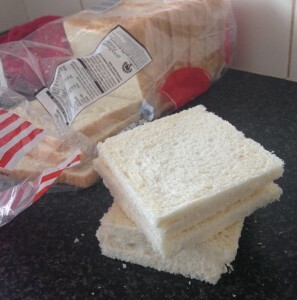 Lay the bread into the base of the tray and cut to ensure a snug fit and no overlap. 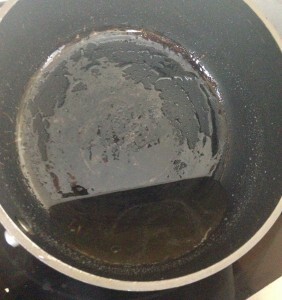 To make the syrup place the sugar, water and lemon juice into a saucepan and stir on a high heat until boiling. 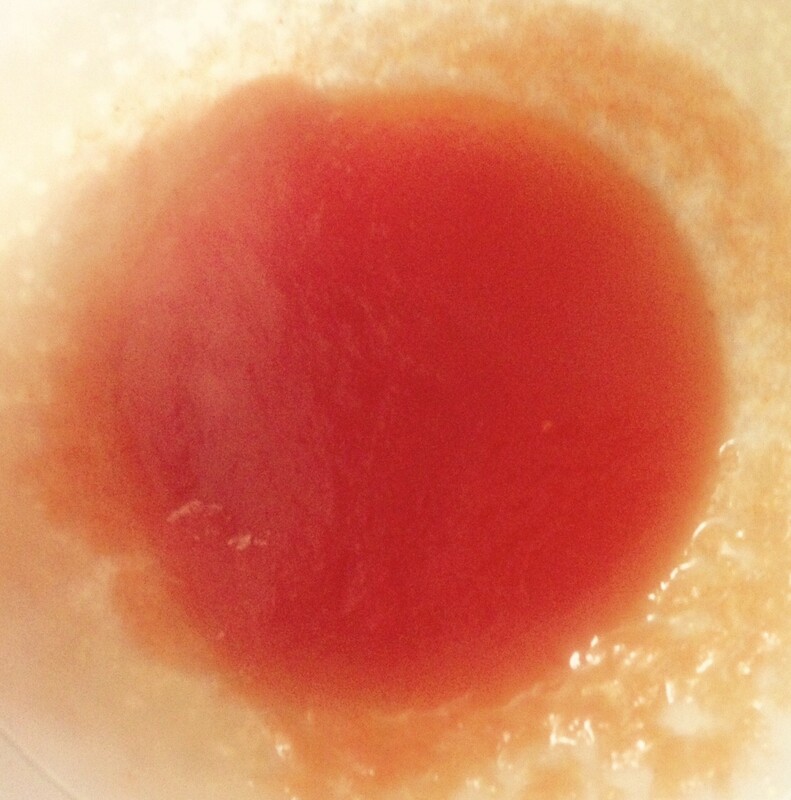 Turn the temperature to medium and stir for 5 minutes until the syrup has slightly thickened. Take off the heat, stir in the rosewater essence and leave aside for 10 minutes. 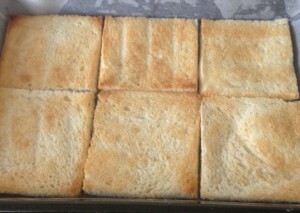 Pour the syrup over the bread and evenly coat each slice. 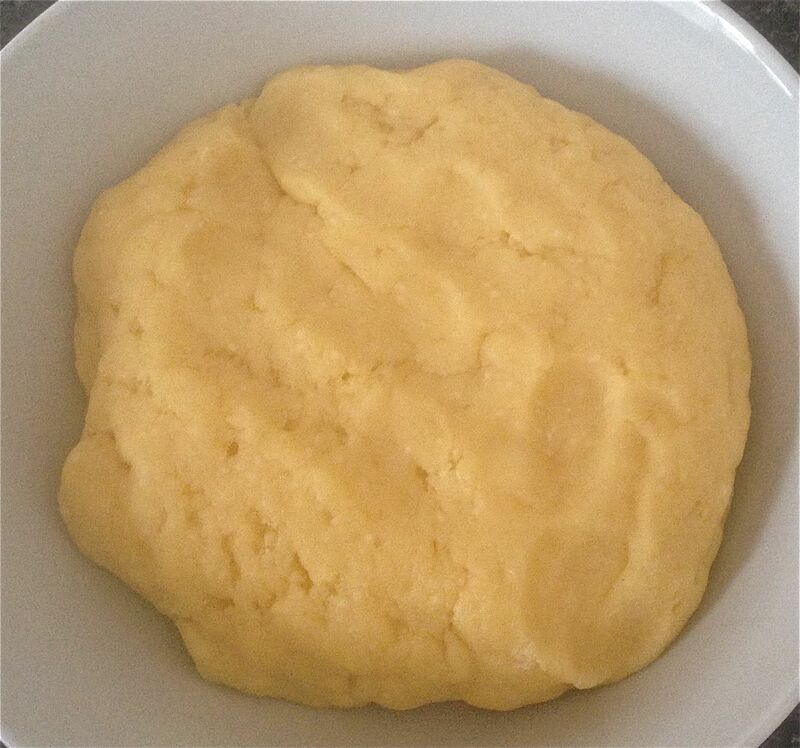 To make the custard place the milk, sugar, cream, flour and lemon juice into a saucepan on a medium heat. 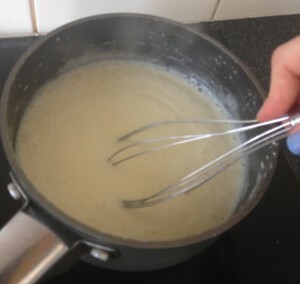 Whisk with a hand whisk for 5 minutes or until the custard thickens and is silky smooth. Add the rosewater essence and whisk. Pass the custard through a sieve and pour over the bread. 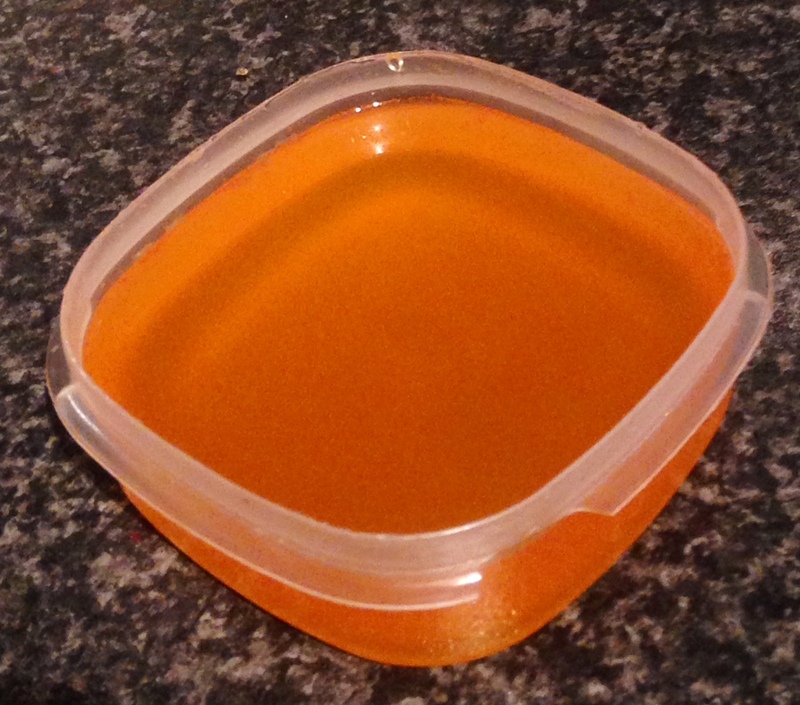 Tap the tin on the bench 5 times to remove any air bubbles and place in the fridge overnight. 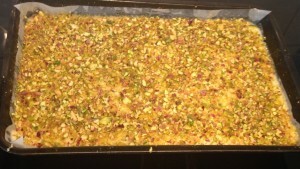 Before serving finely dice the pistachios and scatter over the top on the pudding. Scatter the lemon zest over the top. Remove out of the tin and slice evenly, serve. 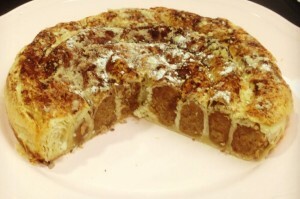 Tags: Aish El Saraya, bread, bread pudding, custard, lemon, pistachios, pudding, rosewater, sugar syrup	. Posted on December 21, 2015 Posted in Cakes, Cupcakes	. 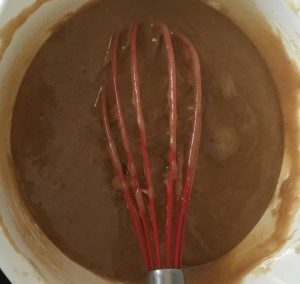 Recently I have been playing a lot with syrups for cakes, which has resulted in quite some playing with a variation of spices and essence (some I am familiar with and some not so much). 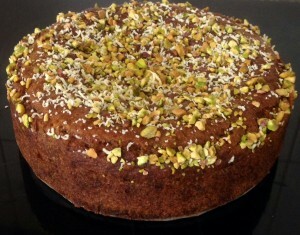 One of the syrups I made up was so amazing that I decided to create a cake purely based on the key spices and essence. After thinking about what cake foundations would best hold and complement my new favourite spices and essences I ended up deciding on a semolina (almost polenta) cake. Attempt 1 – was to produce a thin syrup, which just overtook the cake and flooded it. Attempt 2 – was to make the syrup more of a caramel consistency, almost to a praline level. 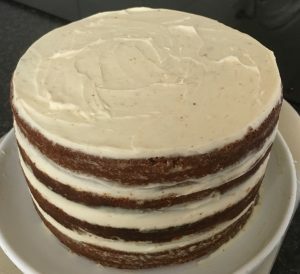 This just didn’t suit the cake, it needed to have an ‘icing’ element that would work with the strong spices and tone down the sickly sweetness. 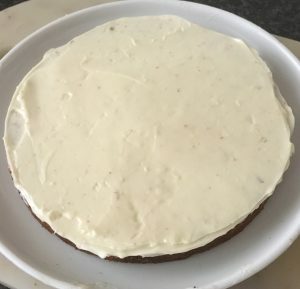 Attempt 3 –I gave up on the syrup idea and decided that this cake would be best eaten with ice-cream and cream as it would work wonders with the strong moist richness of the cake. Therefore whipped up some cream and success! Preheat the oven to 180c degrees and fill 2 x 12 cupcake tin trays with cupcake liners/cases. Using electric beaters beat the butter, sugar, vanilla, cardamom, cinnamon, rosewater, saffron diced and star anise until light and fluffy. 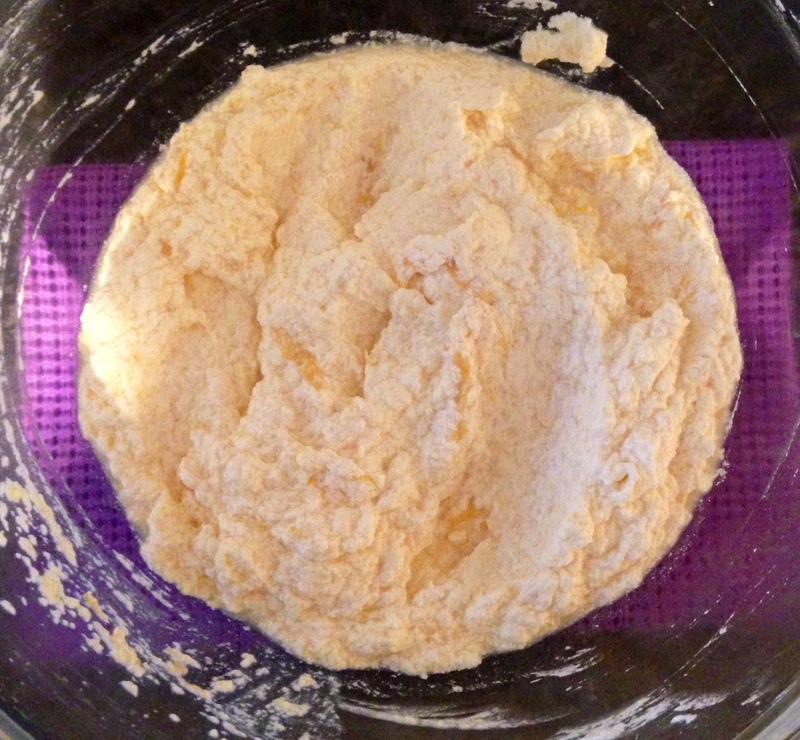 Add the yoghurt, semolina, flour and baking powder and beat until the mix is just combine. Spoon the mix into the 24 cupcake patties. Bake for 25 minutes or until a skewer inserted into the middle of the cake comes out clean. 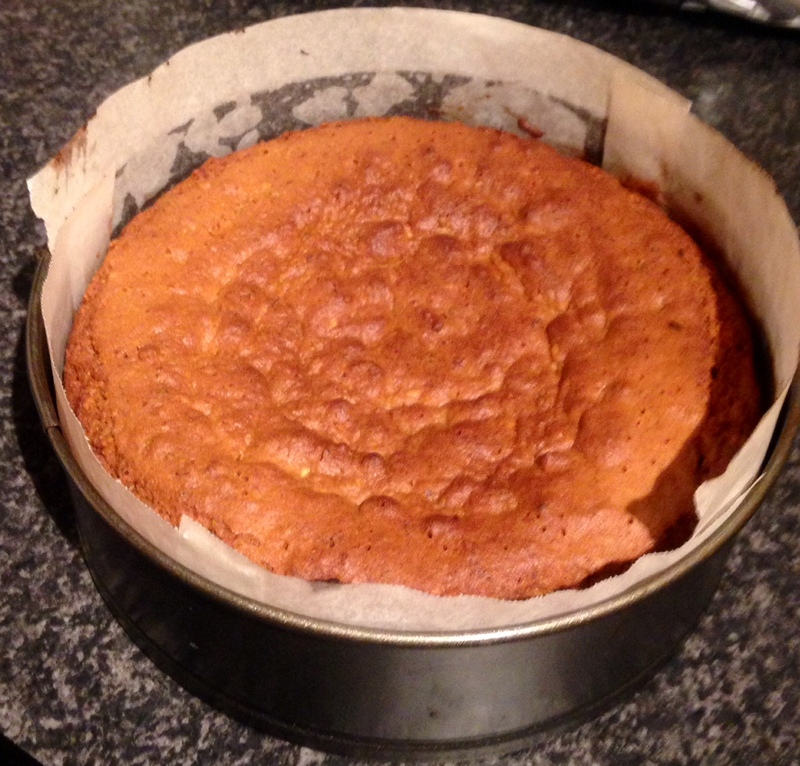 Remove the cakes from the tin and place on a cooling tray until cold. 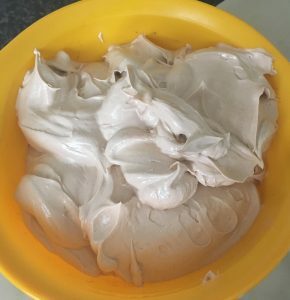 Meanwhile to make the topping whip the cream and sugar in a bowl with electric beaters until peaks form. Using a piping bag and star nozzle pipe the cream on the top of the cold cake. Remove the cakes from the patty cases and sprinkle with a little cinnamon on top. 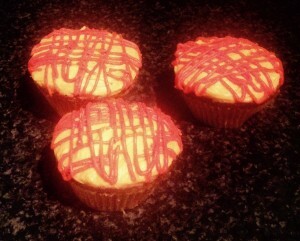 I have decorated the cakes with a sugar almond on top. Tags: Cardamom, cinnamon, rosewater, Semolina, Semolina Spiced Mini Cakes, spices, star anise, yoghurt	. Posted on November 13, 2014 Posted in Cakes	. In the background of my baking that you don’t see I have actually been trying to bake with Grapefruit with 5 attempts now. This sweet but sour citrus fruit is being very difficult with me. I’ve trialed biscuits, slice and cakes in the past but this time FINALLY after much research with Grapefruit flavour parings and textures I have come home with the goods! Who would have though that to complement and tone down the sourness of the fruit the best combo to Grapefruit is Pistachio, Ginger, Lemon and Rosewater…say what? Seriously this cake is one not to pass on. With it’s Middle Eastern influence and European taste I dare anyone to produce a higher quality tasting Grapefruit cake! Preheat oven to 180c and line a 23cm spring form baking tin with baking paper. Place 135g of the pistachios in a food processor and process until finely ground. 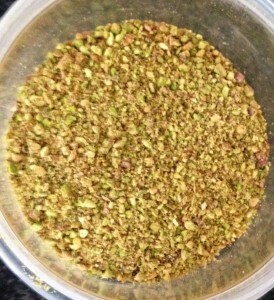 Roughly chop up the remaining 25g pistachios and reserve for the top for decorations. Using electric beaters beat the sugar and butter until light and fluffy. Add in the eggs, beating in between each addition until pale and creamy. Add the rosewater essence, milk, lime juice and zest beating in between each addition. 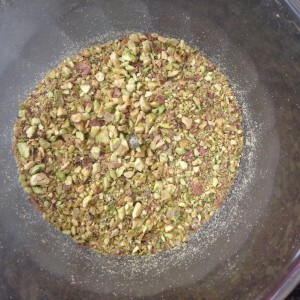 In a separate bowl combine the ground pistachios, flour, bicarb and ginger whisking to mix. Sift the dry ingredients into the liquid mix. Using a spatula folder the dry ingredients into the wet until combine then pour into the cake tin. Bake in the oven for 45 mins or until a skewer inserted in the center comes out clean. To make the grapefruit syrup squeeze the juice of the grapefruit through a sieve and into a pan with the water, rosewater essence and sugar and gently heat until the sugar is dissolved. Increase the heat and boil for 2 mins until the liquid resembles a thin syrup. Using a skewer make holes all over the surface of the cake then pour the syrup over the top of the cake evenly. Leave the cake to cool completely in its tin. Once cold remove the cake from the tin and scatter with the remaining pistachio pieces. You will need 1 whole grapefuit for this recipe. Serve with a scoop on ice-cream, yum! 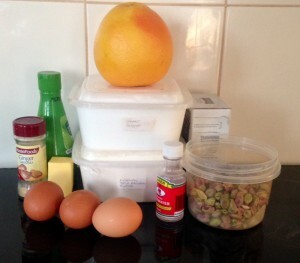 Tags: ginger, grapefruit, Grapefruit Pistachio Rose and Ginger Syrup Cake, lime, Pistachio, rosewater, syrup cake	. Posted on July 28, 2014 Posted in Arabic, Traditional	. In my constant exploring and investigating for amazing worldly sweet treats I came across the Maamool biscuit (or Ma’amoul). 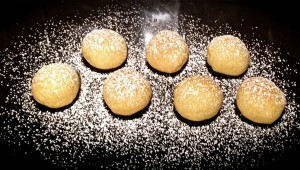 These biscuits are Arabic traditional small shortbread pastries filled with dates or nuts. As they are popular in so many courtiers (etc Lebanon, the Middle East and North Arica) you can imagine there are many varying recipes, particularly when it comes to the actually biscuit (cookie) dough. So I started comparing and researching recipes until I identified a few that seems to be quite consistent in ingredients and methods. These biscuits are not my usual sweet treat fix as they are not very sweet but the fact they are predominately used for religious festivals was very interesting to me. Muslims eat these treats during holidays, and Arabic-speaking Christians eat them at Easter. So to have this much importance to cultures made me really keen to make them myself. In my option below is the easiest and tastiest biscuit recipe (which I’ve adapted) and 2 filling options (also adapted), though the date one is by far the tastier. 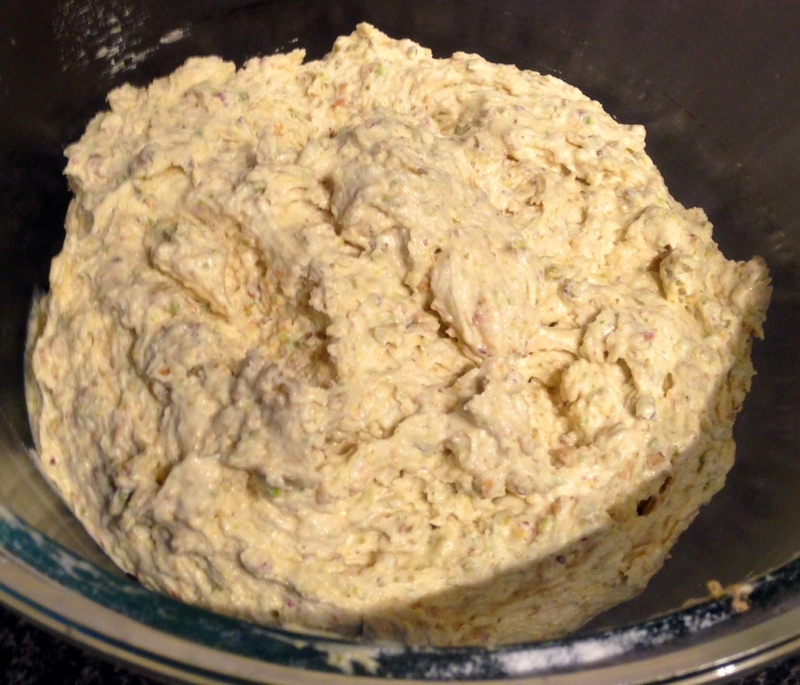 Mix all the dough ingredients together in a bowl, massaging with slightly wet hands until the mix is combined well. 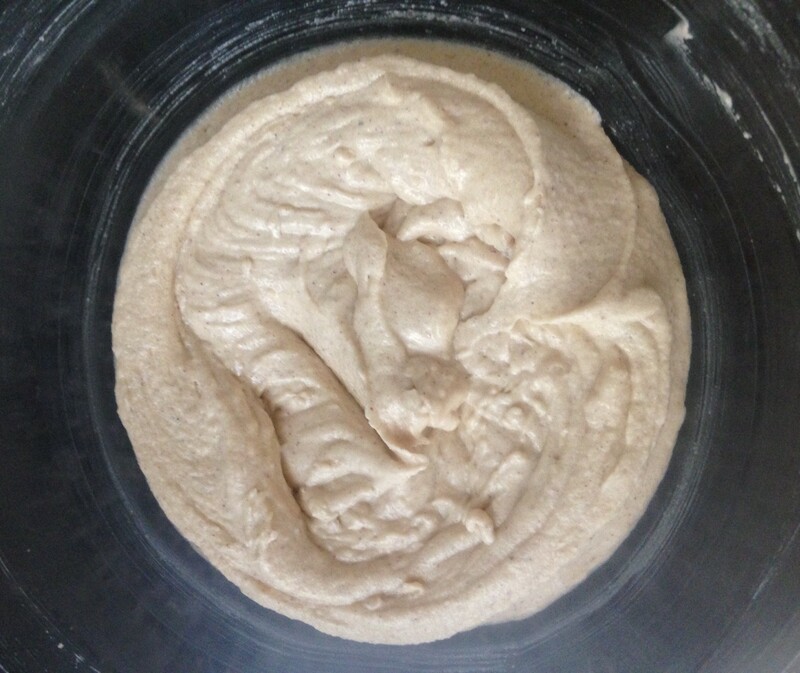 Knead for 5 minutes to form a soft ball. 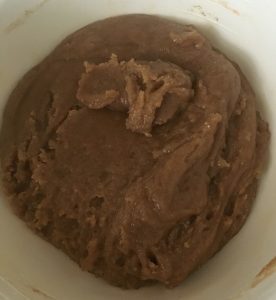 Leave mixture in a bowl covered overnight (or at least 5 hours) to rest. This will allow the semolina to swell and soften up. 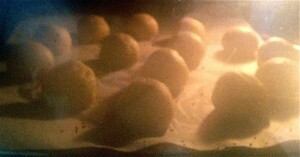 After the mix has been left overnight line 2 large baking trays with baking paper and pre-heat the oven to 175c. Prepare the date filling by placing all the ingredients into a saucepan and stir on low until the dates are softened and the ingredients are combining. 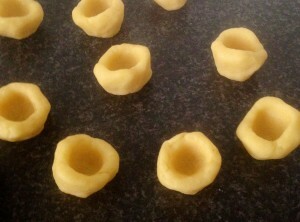 Place in a food processor and process until the mix is smooth then form into small balls (the size or a 5 cent piece or 15g). Place all the ingredients in a food processor and pulse to semi-coarse consistency. 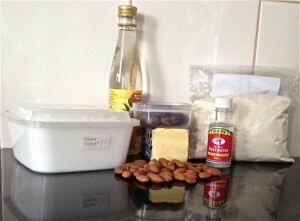 Using your hands massage the ingredients together until well combined. 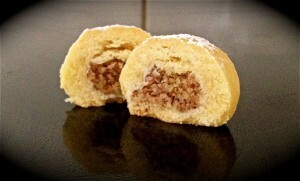 Roll dough into 30g sized balls the size of golf balls. Stuff the cookies by place your finger in the middle to form a hole in the ball and place the date balls inside / or spoon 15g of the nut mixture inside. Gently close up dough ball and seal and roll to be a ball again. If you are using the traditional Maamool mold place the ball into the mold and gently pat down to mold. Tap the mold onto a bench to remove the biscuit. Place Maamool onto a baking sheet and bake for 20 minutes or until just about to get a little brown. Once cooled sift icing sugar onto the Maamool. 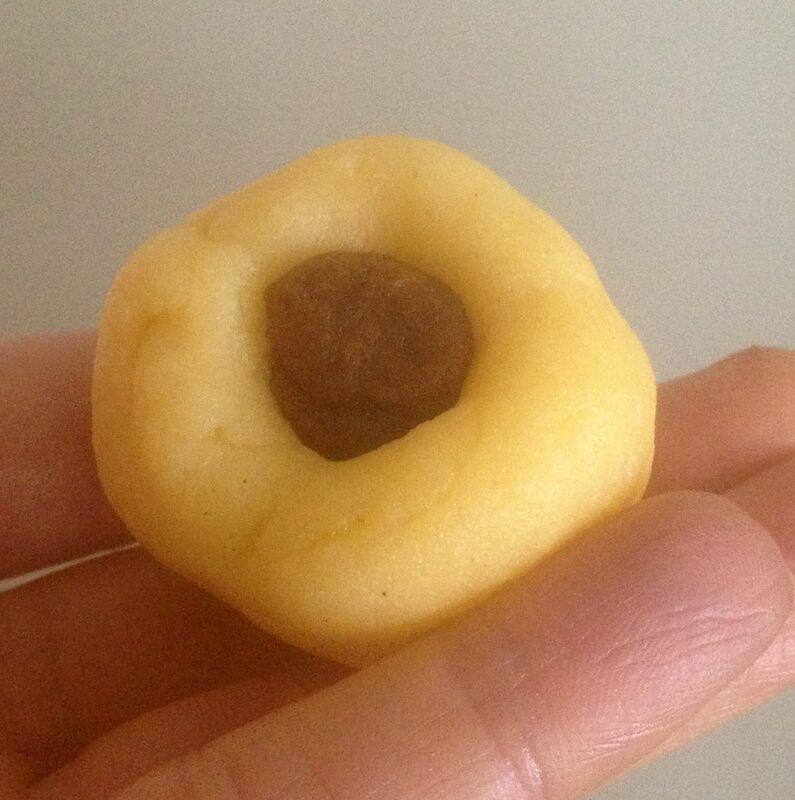 Maamoul’s can be stored in an airtight container at room temp for up to a week, in an airtight container in the fridge for 3 weeks or can be frozen for up to 3 months. 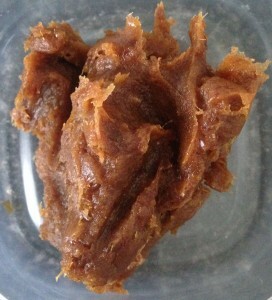 The airtight container is important as without it they will go dry. You can also use a metal cookie cutter instead of the mold. You can flour the mold and tap out excess flour if you are worried about the dough sticking. You can place a design on the top with a folk if you are not using a mold. These biscuits don’t rise so 1cm apart if perfectly fine. If the dough is crumbly you have used too much butter. If you have used too little butter or you over-bake they will be crunchy and crack. Tags: arabic, dates, ma'amoul, Maamool, nuts, orange blossom water, rosewater, Semolina	. Posted on January 27, 2014 Posted in Traditional, Turkey	. Similar to the other international traditional dishes I have blogged about this one as well has many different variations, which I have explored and found my favorite. 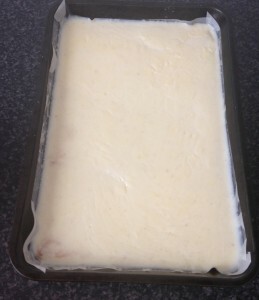 Preheat the oven to 180c and grease a 22cm square cake tin. Process the nuts and spices until finely chopped. Spread the nut mix onto a tray and bake in the oven for 10 minutes or until lightly browned. Increase the oven temprature to 200c. Cut the pastry sheets to fit the base on the tin. Layer 3 pastry sheets brushing each layer with butter. Place this in the tin and sprinkle with 1/3 cup of the nut mix. Repeat pervious step ending with 3 sheets of pastry. 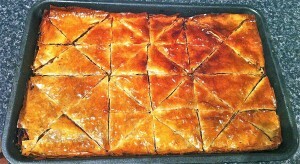 Using a knife, cut the baklava into quarters, then each square diagonally, then the triangles in half. Bake for 25 minutes, reduce the oven temperature to 150c and bake for another 10 minutes. 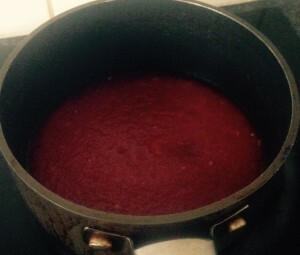 Now make the syrup by stirring all the ingredients in a saucepan on medium until the sugar dissolves. Bring to the boil then reduce the heat to a simmer and leave without stirring for 5 minutes or until slightly thickened. Once the Baklava is cooked pour the syrup over the pastry. Once the Baklava is cooled serve. Tags: Baklava, nuts, pastry, rosewater, syrup, turkey	.